Our first event was so well-received, we’re hosting two more: upcoming on September 30 in Carrboro, and Friday November 4 in Raleigh. If possible, we will accommodate drop-ins, but will give preference to those who signed-up. By Donation – All proceeds will support local, people of color-led efforts to reduce violence, increase accountability in policing, and preserve and protect Black and Brown lives. 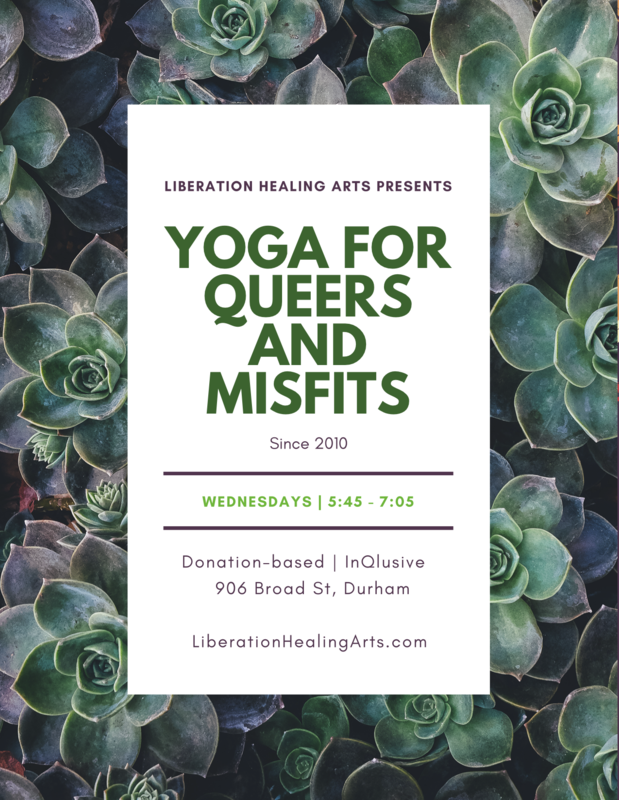 Join Patty Adams and Michelle Johnson in a two hour anti-racist yoga convergence. As a multiracial teaching team, Patty and Michelle collectively have 38+ years working to dismantle racism and oppression, as well as 26+ years studying and teaching yoga. This entry was posted in Uncategorized and tagged accountability, anti-oppression, anti-racism, blacklivesmatter, community-care, intersectional, social justice, trauma-informed yoga, yoga. Bookmark the permalink.